A few years ago my husband announced that we were going to have a veggie garden and that it would be in the front yard. Why the front yard you might ask? Well, the backyard is tiny and has limited sunlight from both our house and the house next door blocking the sun. There’s a small area that would be suitable, but given our front lawn was north facing and expansive it seemed like common sense to put the veggie garden there. I was initially a little apprehensive as I already had plans for the front yard and none of these plans involved vegetables. None the less the first two rectangular patches went in and they looked quite ok! 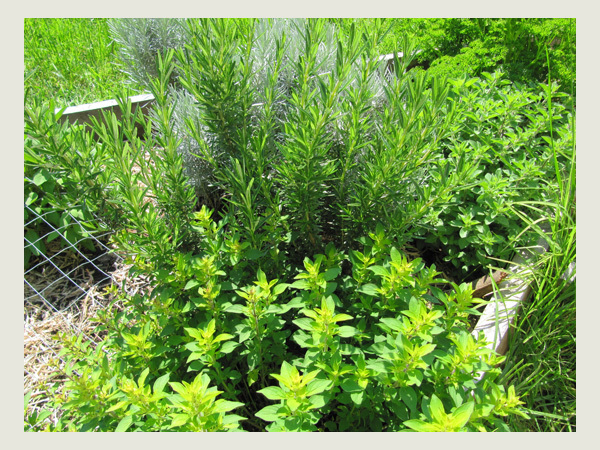 The following year we added a third patch, a little triangular bed which became my herb garden. It happily grew and looked quite pretty especially when it was flowering. 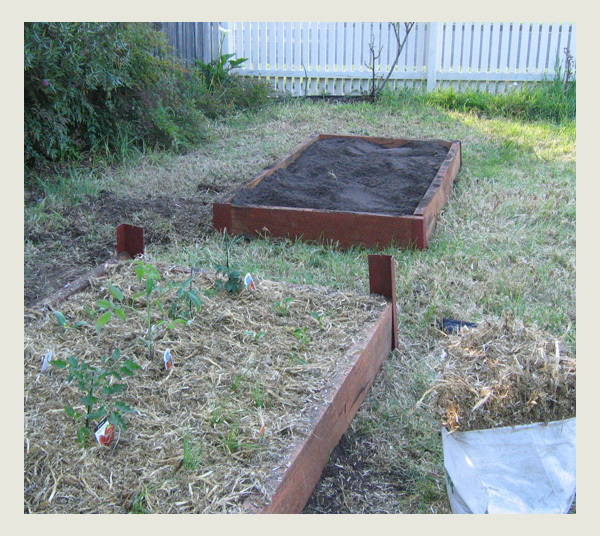 That’s when I started seriously giving thought to how we could beautify our veggie patches a bit more. I researched old fashioned potagers, sent numerous pictures to Col with a ‘how about something like this?’ and it was decided that 2010 was going to be our year of the veggie garden and our potager was going to be beautiful. It wasn’t to be. 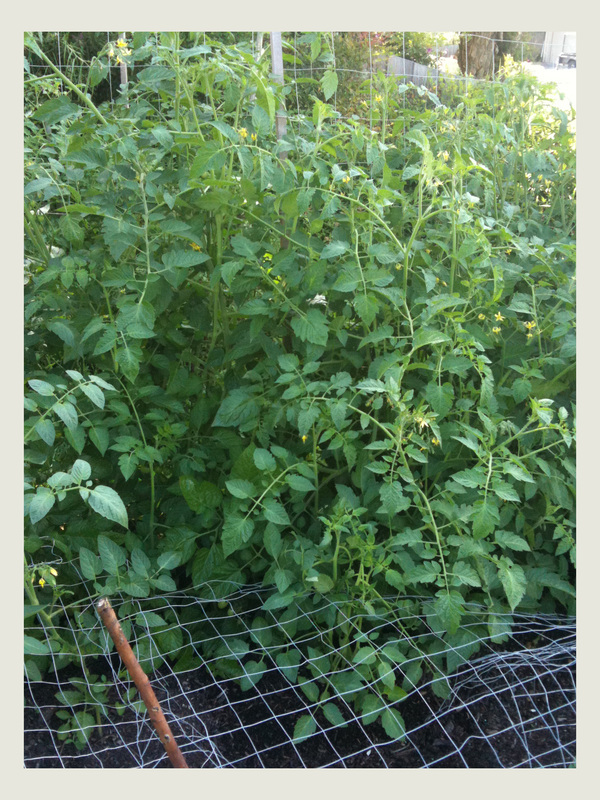 I became pregnant and very morning sick and as a result the only thing that happened was the addition of another rectangular bed and the growing of too many tomatoes. This year everything changes. As I’m on maternity leave I have more daylight hours available to me to get out in the garden which means it’ll be easier to stay on top of weeds. Originally we intended to relocate the herbs and turn the triangle bed into another rectangular bed, but the herbs are currently do so well that we’re loath to move them. Instead we’ll be adding an additional herb bed along the front path which will establish itself over the coming year. Once it’s established we’ll replace the triangle bed with a rectangle. This will give me symmetry so I can begin to create something really special. This year we’re just going to concentrate on having some more exciting vegetables than last year’s 20 million tomatoes and incorporating flowers, like nasturtiums, into the vegetable patch to make it pretty. 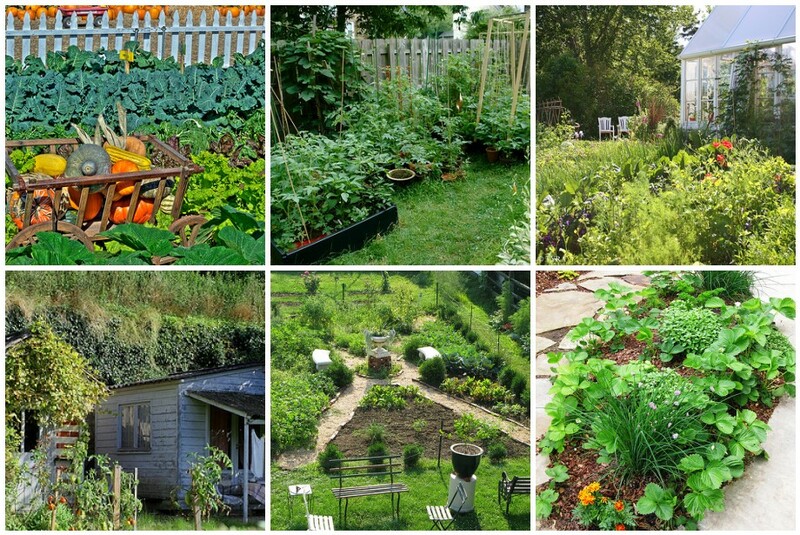 I’ll leave you with some photos of veggie patches that inspire me. I may not be able to create something quite as beautiful as these, but I’m keen to try!